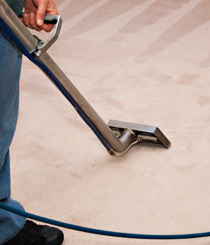 If you've been searching for professional cleaners to handle the carpet cleaning in your home, call now. We'll revitalise your carpets so they look and smell as good as new. We can also clean your upholstery and rugs. Firmly established over many years throughout Bristol, we're carpet cleaners with many happy and satisfied customers coming back time after time thanks to the high quality service we provide. You can be confident you're in professional hands when you book your clean. We use environmentally friendly cleaning products in all homes and offices, all of which are safe for family members and pets, so you can be confident we clean both effectively and safely. With 25 years of experience in working with many different types of fabric, and by utilising the latest cleaning techniques and equipment, we can tackle most tasks. We deliver a high standard of service at all times, and will ensure that your carpets and upholstery are as hygienically clean as possible. Call your local carpet cleaners now for advice and a free estimate today on 0117 345 9224.